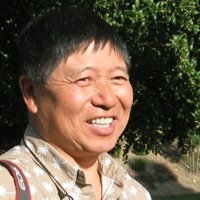 Charles Ying made his name (and his fortune) co-founding Atex (1973–1981), a company which connected reporters and editors via a paper-free system that allowed working on-screen instead of on typewriters, a setup that ultimately changed completely the way reporters and editors worked. From 1992 to 1996, Mr. Ying served as CEO of Information International, Inc., another corporation engaged in automating document production and publishing. Charles Ying was President and CEO of Bitstream Inc. from 1997 to 2003, then Chairman of the Board from 2003 to 2010. In 1999 he discovered the only way to shop for fonts on the web was to know the name of the font one was seeking; not only frustrating for the average computer user who is not a design professional, but also leaving untapped a vast market for typefaces. In 2000 the MyFonts web site was launched to make it simple for both casual users and design professionals to buy fonts.